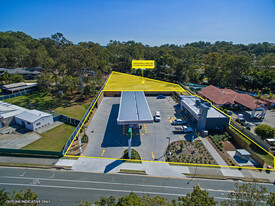 The property is located in Ashmore and is perfectly positioned on the corner of two main arterial roads. Reportedly, the property is exposed to over 35,000 vehicles daily. The total size area is 1,532m2 and is improved with two dwellings. Occupied by a mixture of commercial / medical and residential tenants which provide a holding (Net) income of approximately $70,000 per annum.